De Vere Wokefield Estate has completed its £20 million renovation. 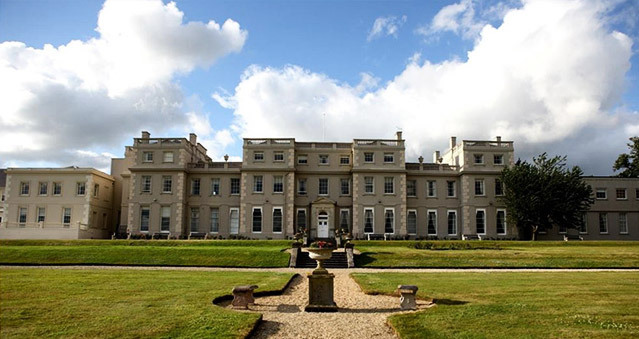 Set in 250 acres of Berkshire parkland, the heart of the estate is the historic Mansion House, which has had a complete makeover and now offers 87 guestrooms, including 12 luxury suites, along with the restoration of a number of event spaces including the pillared Terrace Suite – perfect for all your teambuilding activities. A new 1560 Restaurant & Bar celebrate the best of British ingredients, whilst the Whiskey Lounge is a cosy spot for drinks until the small hours. Outside, you’ll find an 18-hole PGA-standard golf course and outdoor activity course in the grounds. There’s also a fully equipped gym and indoor 25m swimming pool available daily for guests to use. A high-tech dedicated conference building, Wokefield Place has been refurbished and kitted out with all the AV and IT you need for your teambuilding events. Wokefield Estate is ideal for The Killing, Around the World, Awakening the Dead, Stocks in the City, Mixology, The Ultimate Team Build, Get in the Zone, to name but a few. Location: Wokefield Estate is near Reading. 10 minutes from J11 of the M4 and 40 minutes from Heathrow Airport. Reading station offers fast, direct trains into London Paddington.